During your Main Phase: You can destroy 1 card in your hand, and if you do, add 1 "Nephthys" monster from your Deck to your hand, except "Disciple of Nephthys". 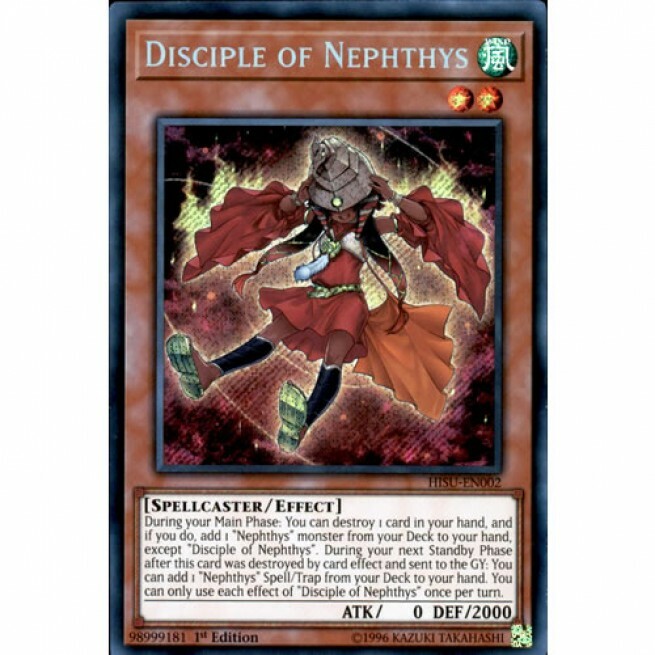 During your next Standby Phase after this card was destroyed by a card effect and sent to the GY: You can add 1 "Nephthys" Spell/Trap from your Deck to your hand. You can only use each effect of "Disciple of Nephthys" once per turn.